Just two days ago Mophie revealed their Apple Watch charging solution, the Watch Dock. I was instantly a fan of its tall, slender, and gorgeous design, and I was all-but-sure that the Watch Dock would be my Apple Watch stand of choice. We’ve looked at multitude of Apple Watch charging docks in the weeks since the March Spring Forward event, including a simple and inexpensive solution from Griffin, a stylish piece from Native Union, an always-classy HiRise from Twelve South, and some incredible options via Indiegogo and Kickstarter. Today, DODOcase expanded their Apple Watch selection, and with the aptly titled Dual Charging Dock Organizer, I now have no idea which direction to take. Mophie’s Watch Dock is sleek and minimal, a very different take than DODOcase’s larger and far more analogue Dual Charging Dock Organizer. Part of our Apple Watch accessory collection: a Dual Charging Dock Organizer for both your iPhone and Apple Watch. 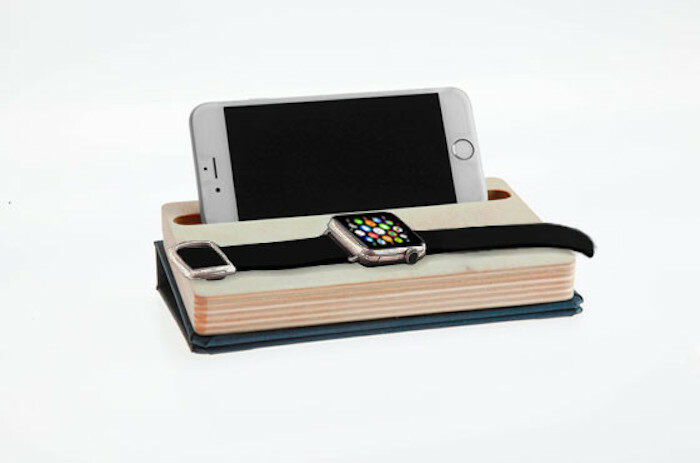 Our innovative Charging Dock is made from a Baltic Birch wood tray, which magnetically attaches to a handmade Bookbound Cover. Apple’s inductive MagSafe charger is seamlessly integrated into the wood dock, allowing your watch to lay flat while your phone slides into a carved divot perfectly angled for optimal viewing capability. 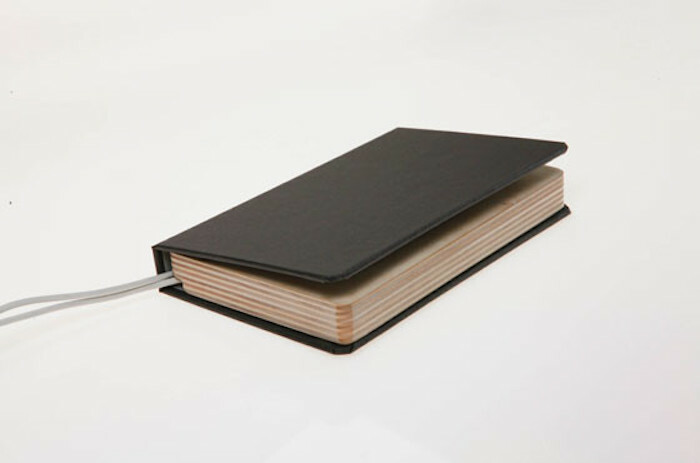 The book features a hidden compartment beneath the Birch tray to store cables, headphones, and extra watch straps. When not in use, close the cover and everything disappears into the disguise of a book. The Charging Dock Organizer will become your essential bedside table companion or desktop accessory featuring traditional craftsmanship for today’s modern technology. Sounds pretty premium, doesn’t it? As noted, you can flip the dock over to reveal a hidden compartment to store all of your extra watch bands, cables, headphones, and the like, which sounds like a great way to de-clutter your nightstand. I’m not typically bothered by a few charging cables around the bedside table, but my fiancé is decidedly not a fan. I really love the way that the Dual Charging Dock Organizer can simply close when you’re not using it, giving your table, nightstand, or any flat surface a far cleaner look with just a flip of the cover. The Dual Charging Dock Organizer from DODOcase is currently available for pre-order for $59.95 ($79.95 MSRP). The dock is set to ship out 4-6 after the Apple Watch launch on April 24th. With a week (or so) left until my Apple Watch arrives (I was lucky enough to get the 4/24-5/8 timeframe, unlike most), I’ll definitely be in a state of turmoil until I make my mind up. Are you planning to pick up a charging dock for your Apple Watch? Which has been your favourite so far?